What Mechanics Would You Desire In FFXIII? | The Gamesmen- What role will YOU play? 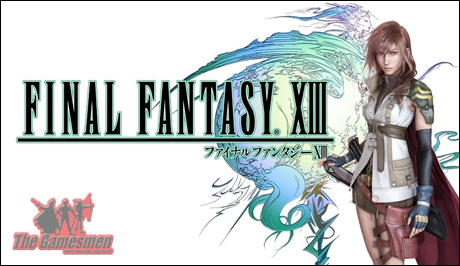 »Previews»What Mechanics Would You Desire In FFXIII? What Mechanics Would You Desire In FFXIII? Now that we’ve learned of Final Fantasy XIII’s North American and European release date of March 9, 2010, one would assume that the localization process is further along than previously believed. So, here’s the question going out to the Gamesmen family that is interested in the game: If you were on the development team, what game/minigame mechanics would you like to see in FFXIII? GoD-LiKe(Apostle) and myself imported PocketStations for the mobile Chocobo raising aspect of FFVIII after it’s release. Obiously, my vote would be for a Chocobo raising PSP Mini that, if taken advantage of, would net you special items, such as extra Ribbons, as happened back then. But, this could include anything from motorcycle-riding mingames(FFVII) to having the ability to swap out characters in battle(FFX). So, what would YOU like to see?